Looking for an activity that covers all ages between JK-Grade 8? 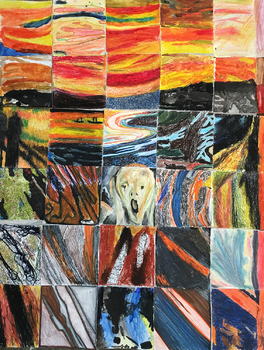 This piece was created with students from Kindergarten to Grade 8 (Kindergarten students were given easier pieces, while grade 8 students were given more complicated pieces). This can take up to 3 weeks (depending on how many art classes you have). Please support students with a variety of materials they can use to complete their square.